The Mizuno MP-T4 wedge was designed with the input from Mizuno''s Tour players. Its teardrop head design was designed to be the most versatile high-spin wedge on the market. 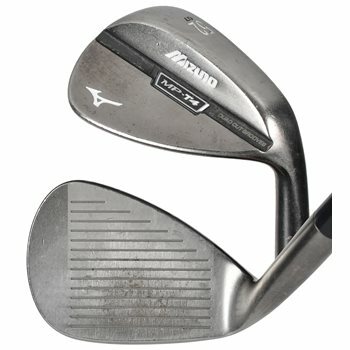 The wedges are grain flow forged from a mild carbon steel and features Mizuno''s high-spin Quad Cut Grooves. The sole features agressive heel and toe relief for consistent shot making from any lie. The 50-54 degree lofts have deeper/narrower grooves for more control on full shots. The 56-60 degree lofts have wider/shallower grooves for extra spin on shorter shots.